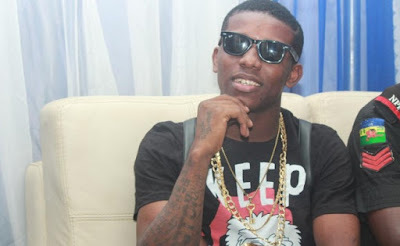 With the popularity, acceptance and rave that accompanied the release of Small Doctor’s 2016 hit song, ‘Penalty’, one would want to assume with all certainty that he’s a sure candidate for award nominations in 2017; but that is far from being the case. On the heels of the just concluded All Africa Music Awards, AFRIMA, the self styled ‘king of the streets’ has expressed indifference on his inability to secure a nomination at the prestigious awards. Speaking to Showtime in an exclusive chat he noted that being nominated or not for an award of AFRIMA’s pedigree is not a big deal as long as he is still making waves as a musician. “To be nominated and to be appreciated are two different things; for my picture to be on the banners and to have been invited for the awards is enough, because I appreciate every bit of my life. A fall never keeps me down, though this is not a fall; anything goes, nominated or not nominated I’m balling”, he said. Speaking further, he averred that the least he could do is to up his ante in readiness for future awards because he can’t commit suicide because he wasn’t nominated for the AFRIMA awards. » Despite All The Brouhaha In Naija... Anything Goes!! !